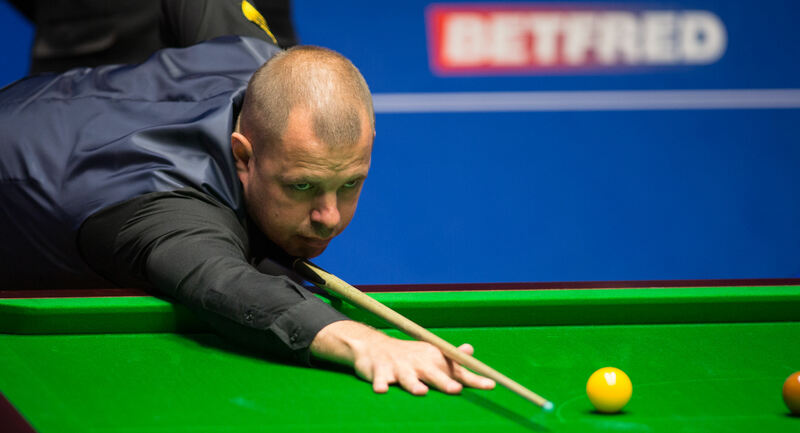 Crucible specialist Barry Hawkins reached his fourth Sheffield semi-final since 2013 by beating Stephen Maguire 13-9 at the Betfred World Championship. Hawkins’ rock-solid all round game and composure under pressure make him perfectly suited to snooker’s biggest tournament and having lost to Ronnie O’Sullivan in the 2013 final he has since enjoyed three further runs to the semis. This time he will meet John Higgins over 33 frames for the right to take on Mark Selby or Ding Junhui in the final. London’s 37-year-old Hawkins has already had the best season of his career, highlighted by victory at the World Grand Prix in February, and the world number seven is now just two wins away from the sport’s most prestigious title. 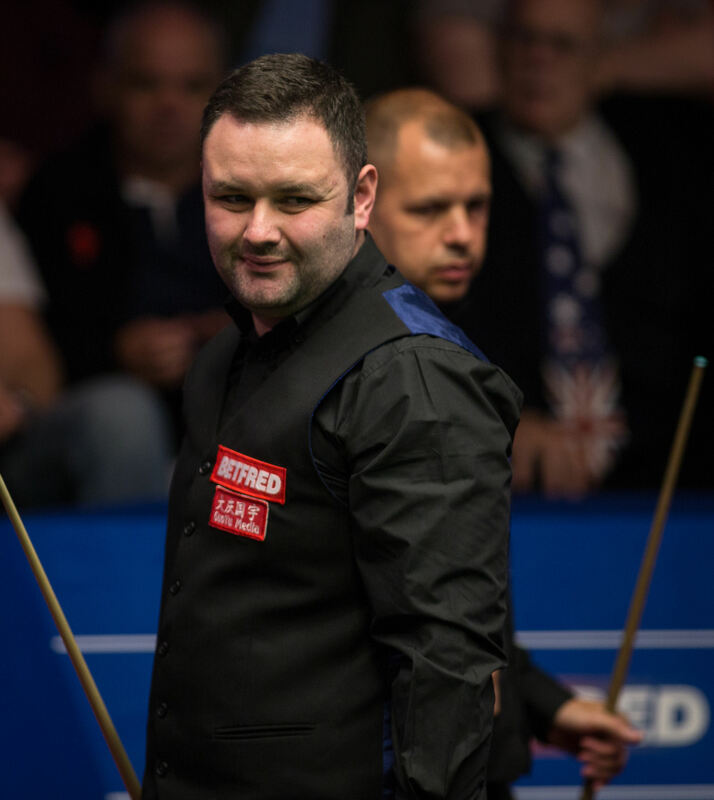 Early in his match against Maguire he was hauled back from 5-1 up to 6-6, but the Hawk rose again and established a 9-7 lead going into the final session. Scotland’s Maguire started strongly tonight with a break of 135 and he took the next as well to level at 9-9. Back came Hawkins with a 126 to regain the lead and he took a scrappy 20th frame to make it 11-9 at the interval. The next frame could have gone either way and Hawkins was lucky to fluke the final yellow when playing safe leading by 25 points, which proved enough to go three up with four to play. And he soon settled the result with a 77 in frame 22. Hawkins said: “I finished off well. I felt strong at the end there, though we both struggled the whole match. It was just a battle of wills, we were both missing balls and running out of position all the time. I had lady luck on my side and took advantage. “The final break to win was the calmest I felt the whole match which was pleasing. Maybe the experience I’ve got in the last few years helped, I just really focused and concentrated on my rhythm, just pretending that it was practice. “I need to play at the top of my game against John Higgins to have any chance of getting past him. He has all the experience in the world here, as a four time winner, he’s a class player and I’m going to need to take my chances. I know going into that match that I’m going to need to play well, that helps me sometimes because I focus better. Maguire added: “The standard wasn’t good over the three sessions, it picked up a little bit tonight. I had to actually fire myself up in the middle of the first session yesterday, I just felt no pressure really. I don’t know why because it’s the quarter-final of the World. I wouldn’t go as far to say I felt flat, but I just felt quite relaxed and I don’t play well when I’m relaxed. I had to try and make something happen and it never worked.